So, imagine you get into your vehicle and put the key in the ignition or hit the push-button start. Instead of hearing the roar of the engine, you experience silence. Your car doesn’t start! A car battery is like its heart, without which you cannot start your car or let alone drive it. Engine Cranks But Doesn’t Start – If you turn the key in the ignition and your engine cranks but doesn’t start, your battery is fading. Have an expert mechanic check your battery. If the problem persists, you might require a replacement. Lights Won’t Turn On – A dead battery leads to the lights and horn not working, in addition to your car not starting. Your car battery powers all the accessories in the car. Therefore, if it doesn’t show signs of life, you might need to replace it. 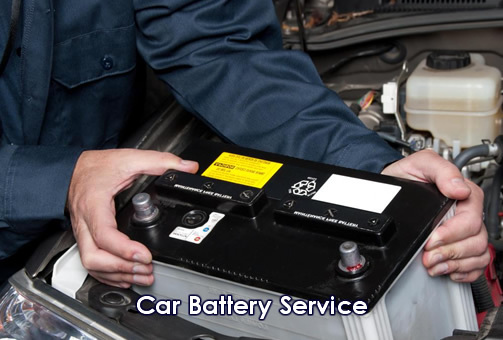 Moody Battery – If the performance of your car varies from day to day, there can be an issue with the battery. This is particularly the case if you have to jump start your car. This could also be an indication of your battery terminals getting loose or corroding. Bloated Battery Case – If the casing of your car battery appears bigger than usual, you should consider battery repair or replacement. Cold Cranking – Batteries have a cold cranking amp that enables drivers to measure a battery’s capacity to start in cold weather. If the CCA displays poor ratings, you might have trouble starting your vehicle during the winter, which means you require a replacement. A professional will ensure the new battery is optimal for the make/model of your vehicle, guaranteeing optimal performance. Getting a professional to replace your battery also gives them the chance to look for other problems with your car. This ensures there are no issues with your car before you get back on the road. An expert will remove any corrosion and clean the battery connections to get better performance from your car battery. Batteries are heavy and often coated in acidic electrolyte. Only an experienced professional should replace it, as doing-it-yourself poses safety hazards. So, if you want to enjoy the benefits mentioned above, it’s time you get a professional to replace your car battery.